Are you ready for the easiest cookie you’ll ever make? 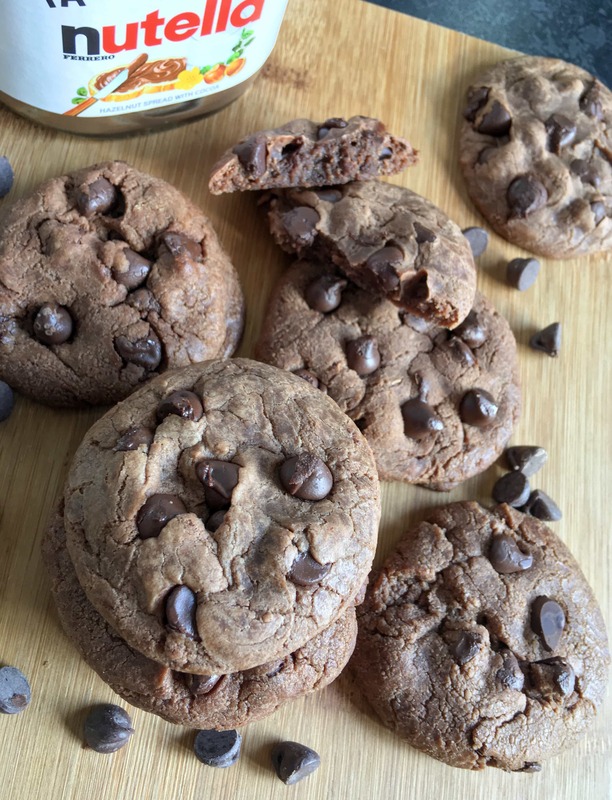 Step forward easiest ever Nutella cookies! 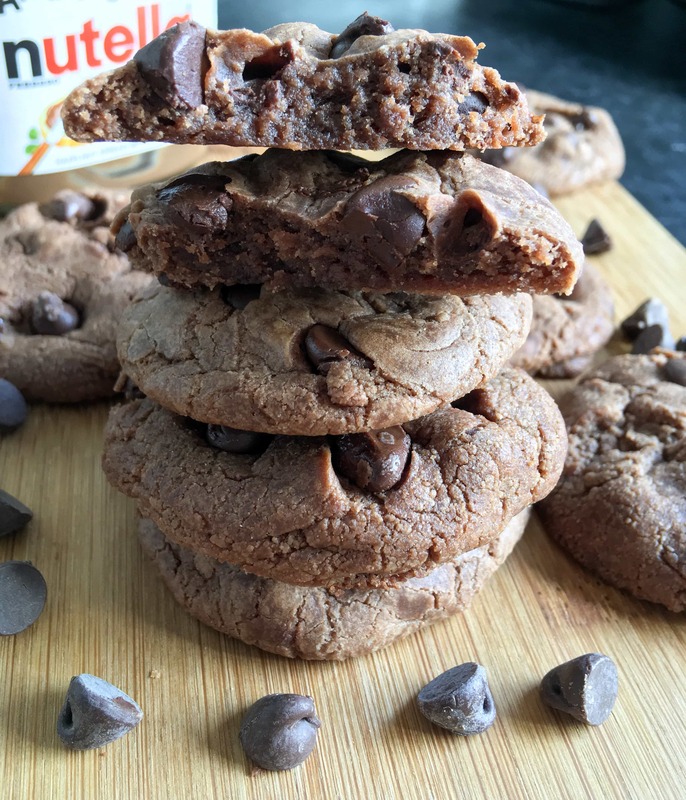 These Nutella cookies are so quick and easy and you only need four store cupboard ingredients to make them – condensed milk, Nutella, flour and chocolate chips! You don’t need any eggs to bind the mixture together – the Nutella does the job beautifully. If you’re anything like me and hate washing up, you’ll be delighted to hear that you only need one bowl to make these cookies. Less washing up is always a good thing in my book! If you live in a house full of Nutella lovers just like I do, check out my other Nutella recipes! This post was originally posted 30th January 2016. Updated with new photographs 7th September 2018. 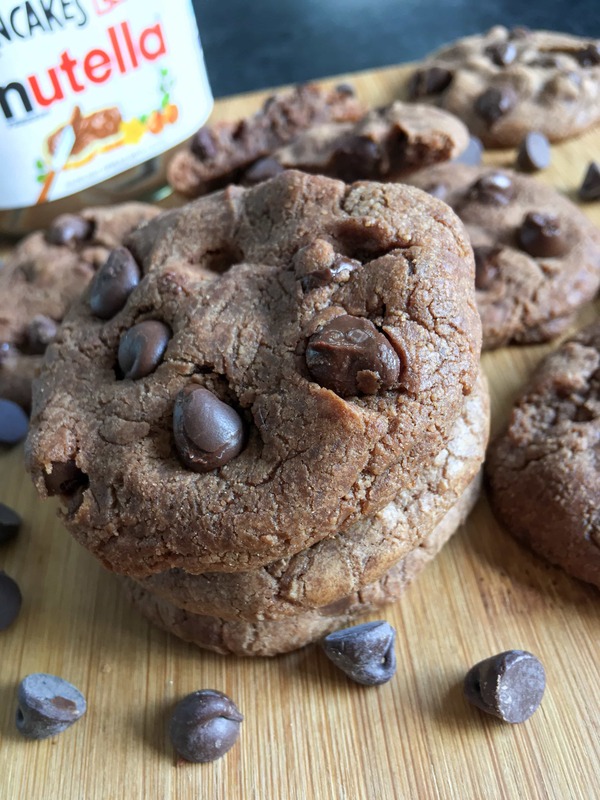 These fudgy Nutella cookies are so simple and easy to make and and you just need 4 ingredients to make them - condensed milk, Nutella, flour and chocolate chips! Place the Nutella and condensed milk in a medium bowl. Add the flour and chocolate chips and mix together with a wooden spoon. It will come together, although it might not seem like it at first! Alternatively, place all the ingredients in a food processor and pulse until you have a shiny dough. Roll the dough into walnut sized balls and place on the lined baking sheet, placing them at least 2cm apart. Slightly flatten each one with the palm of your hand and bake for 10-12 minutes or until the cookies have spread and look set around the edges. Leave to cool on the baking sheet for 5 minutes, then carefully transfer to a wire rack to cool. Phworr – yes! They even look good unbaked! They are so good – highly recommended ?